Mazda Auto Repair Sacramento - Standard Auto Care Inc. When Mazda owners need auto repair, they turn to Standard Auto Care. 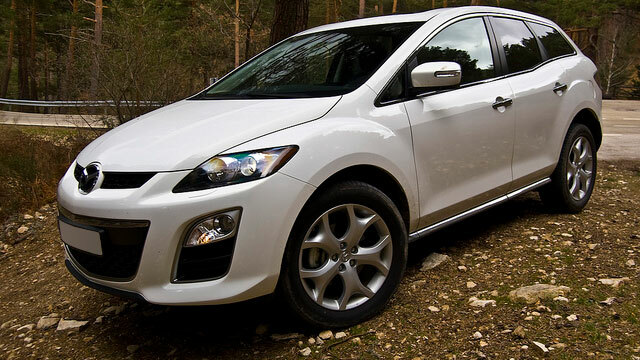 Located in Sacramento, our auto repair has earned a reputation for honest and thorough Mazda service. Unfortunately, auto mechanics carry around the stereotype of being untrustworthy or unreliable. At Standard Auto Care, we are putting an end to this stereotype, one Mazda at a time. We encourage you to bring your car to our auto repair shop, so our auto mechanics can earn your trust, loyalty, and respect. Mazda cars are sporty, reliable cars. Despite their dependability, they are not invincible. Preventative maintenance is necessary to ensure the safety and reliability of your vehicle, along with preventing costly repairs in the future. Our auto mechanics are equipped with the latest tools and equipment. We will quickly diagnosis the issue, pinpoint the underlying cause, and clearly explain to you the “what, why, and how.” Because of our confidence in our Mazda repair, we offer a three-year / 36,000-mile warranty. We want to make your experience with Standard Auto Care as seamless as possible, which is why we offer our Mazda clients use of our shuttle and loaner car service. Our waiting room is also clean, comfortable, and complete with all the amenities, including snacks, beverages, and WiFi. To ensure your stress level is minimal, we even have an essential oil diffuser running in our office. If you live in the Sacramento area and are looking for a trustworthy auto repair shop for your Mazda, look no further than Standard Auto Care. You can find us at 2240 Colfax Street, Sacramento, California 95815. If you’d like to make an appointment or discuss Mazda repair and maintenance, give us a call.